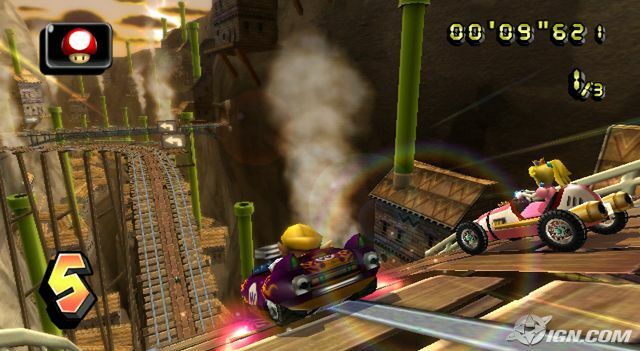 For most Wii game owners, Super Smash Bros. Brawl is taking the spotlight, but I’m sure once they get their hands on a copy of that, they will be craving the next Nintendo blockbuster game, Mario Kart Wii. 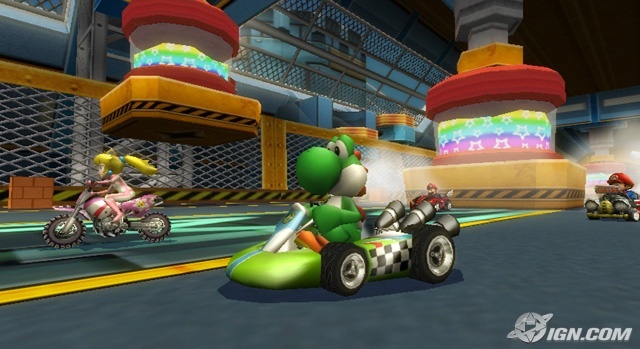 The latest Nintendo DS version, Mario Kart DS is one of the most popular racing games for the hand-held. So its only fair that Nintendo Wii owners get their own version. My Top 10 Wii Games for 2008 article had Mario Kart Wii sitting at the #3 spot, however I’m starting to agree with Jamaipanese, that it may have belonged in the #2 spot behind Super Smash Bros. Brawl. Whatever the spot, it gets an article about it before Rock Band does, so I guess that’s all that matters. So what is Mario Kart Wii? If you don’t know, you must just be naive, or too caught up with your pretty XBOX 360 games to know about a game that is not only pretty, but also pretty damn fun! 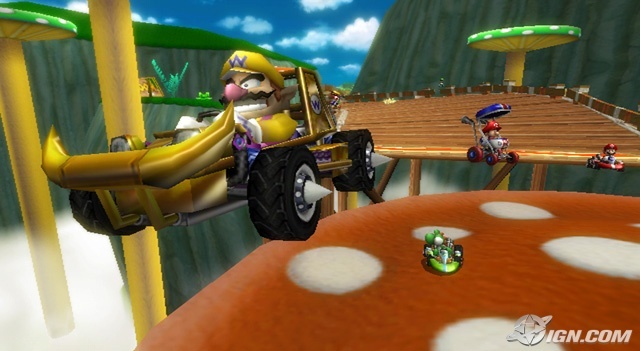 Mario Kart Wii is a Kart racing game by Nintendo. Famitsu recently released some final details about the game. 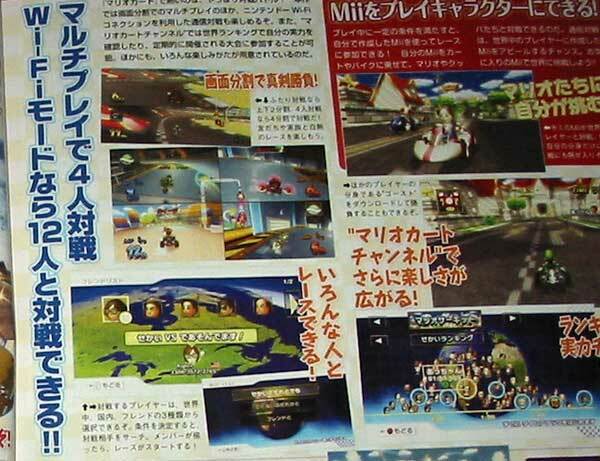 Mario Kart Wii is going to have 32 courses, 16 remakes of classic courses, and 16 new courses including: Mario Circuit, Momo Country, Kinopio Factory, DK Snowboard Cross, Coconuts Mall, Kinoko Canyon, and Luigi Circuit. All the old classics players are there including: Mario, Luigi, Peach, Yoshi, Bowser, Toad, Donkey Kong, and Wario. Some of the new characters include: Waluigi, Diddy Kong, Baby Mario, Baby Luigi, Baby Peach, and Boo. One new feature that I’m excited about is that with some of the courses, you’re going to be able to perform mid air tricks by positioning the controller and pressing the correct buttons. Upon successfully completing a trick, you will get an extra speed boost that may be vital to you pulling out in front. Another new feature that everyone either loves, or hates is that there will now not just be karts to ride, but also bikes. When I first heard this, I kinda felt sick to my stomach as I thought Nintendo had ruined the whole premise of the game… GO KARTS! But after seeing them, and hearing that they will have different strengths and weaknesses, I think Nintendo may have successfully balanced them into the game. We can only hope that is. 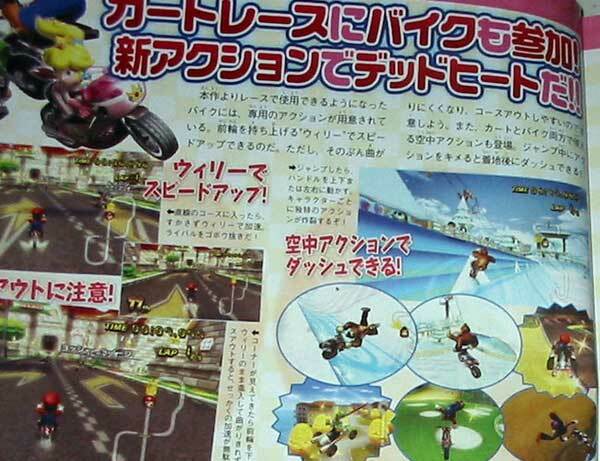 Nintendo’s biggest new feature for Mario Kart Wii is by far the addition of Multiplayer support. You will be able to play with up to 12 players WI-Fi, and also players from your country and all over the world. This has me wondering if we may get the game the same time as Japan for once. It will be cool to be able to play with some of my æ—¥æœ¬äºº friends, as all my friends here seemed to jump on the XBOX 360 bandwagon, YOU KNOW WHO YOU ARE. 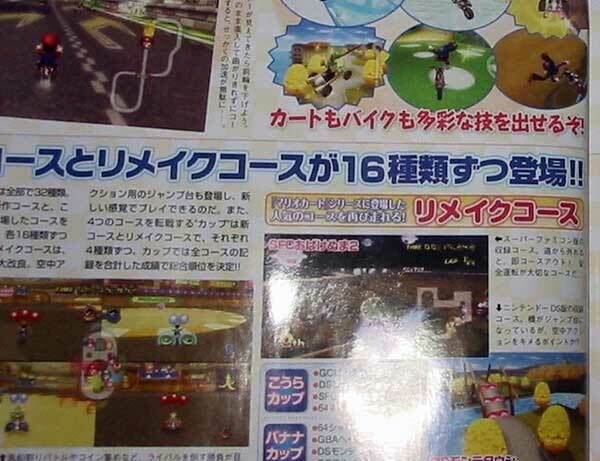 Nintendo is also making use of the Wii channel. Specifics are not known, but IGN suspects that it will be used to display records as well as world records (So you can compete on a world scale!). You can also use your own Mii within the game to make the game feel more, um… “real”? To this day, I still play the Nintendo 64 version of the game. Who’s my character of choice? Nope, not Mario, but Toad. I must have that speed boost off the start, but being hit by the bigger characters gets annoying. 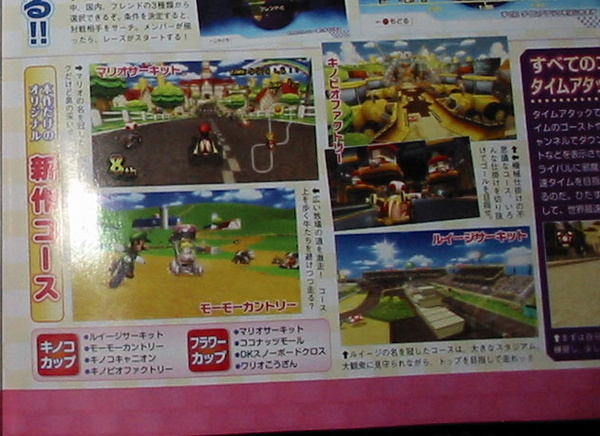 I hope that Mario Kart Wii still has those little details as part of the game. Another thing that I could spend hours doing is racing my ghost. 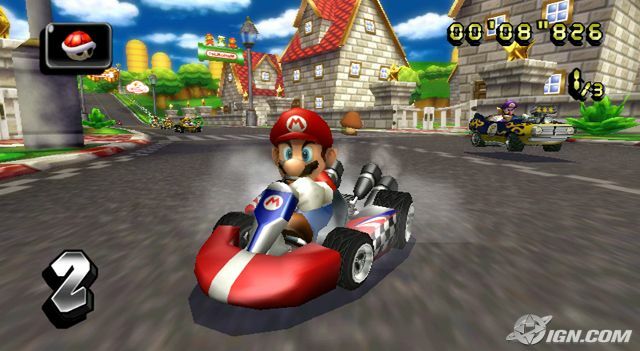 Mario Kart kept track of your fastest times by keeping a “ghost” of your character. On screen you could see your ghost to know if you were on your way to beating your best time or not. It was kinda like you were racing another character, but you could see through them… hence the ghost. Mario Kart Wii will not only allow you to do the same, but Nintendo is going to allow downloadable ghost data so that you can race the best players in the world! So while everyone is going crazy over Super Smash Bros. Brawl here in the states, I think world wide that Mario Kart Wii will be the over all biggest selling game world-wide this year.